Sharing a beer with Death-one of the Four Horsemen of the Apocalypse-really put a few things into perspective for this foul-mouthed, billionaire wizard. Like finally strapping on the boots to propose to his girlfriend. But assassination contracts have a way of putting wedding plans on hold. Perhaps permanently. 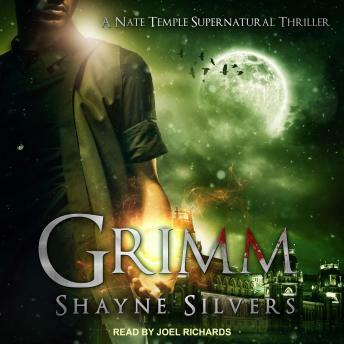 And with the entire wedding party on the bloodthirsty Grimm's hit-list, and his family fortune in jeopardy, Nate realizes they can't run and they can't hide. So, time to do magic and stuff . . . But with every flavor of supernatural thug teaming up to help the Grimms, Nate realizes that friends have become enemies and enemies have become friends, and he's forced to cross lines that are better left uncrossed. When magic, claws, and teeth dance to the song of war, the only thing left to learn is who lives and who dies. And if Nate can live with the consequences. No wonder a guy is terrified to propose . . .